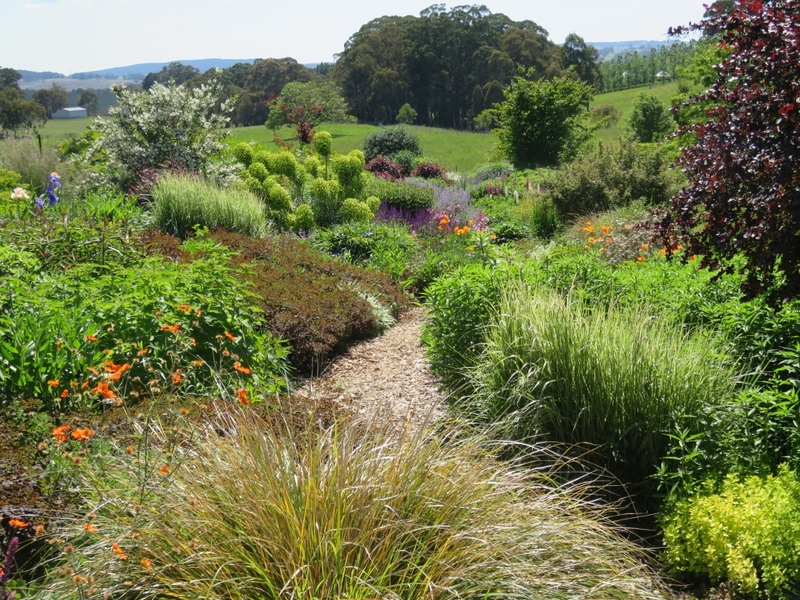 This is a flashback to November 2017, to my absolute favourite garden of the year…. 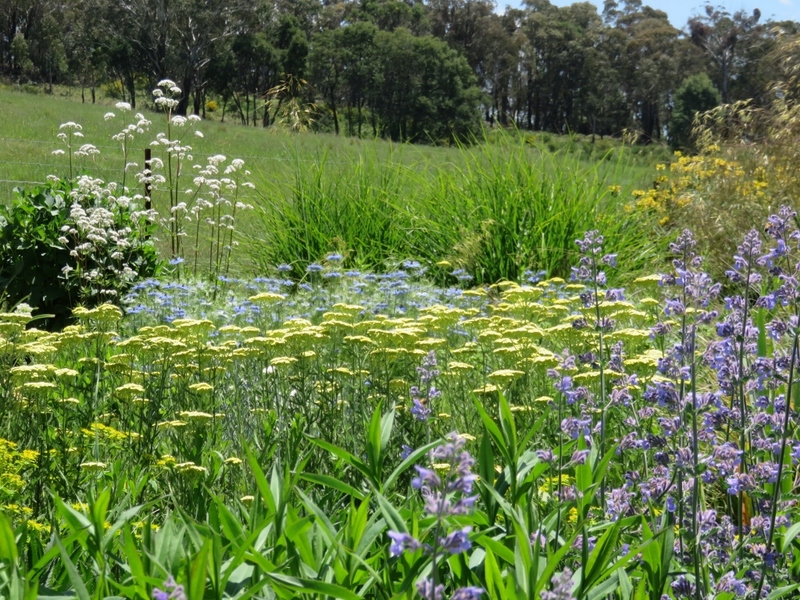 spring time at a country property called Hillandale in Yetholme, near Bathurst, New South Wales. 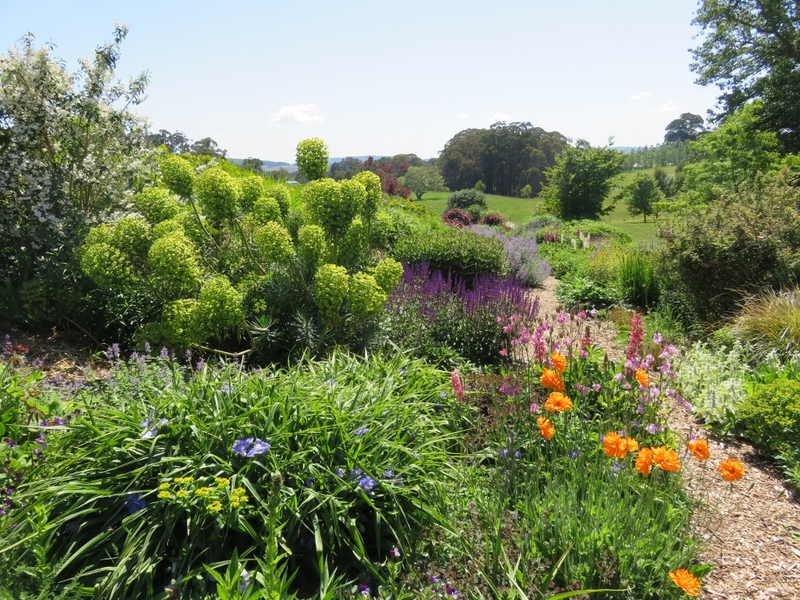 This farm and garden , set in bucolic fields and distant hills, is a credit to the owners, Sarah and Andrew Ryan. 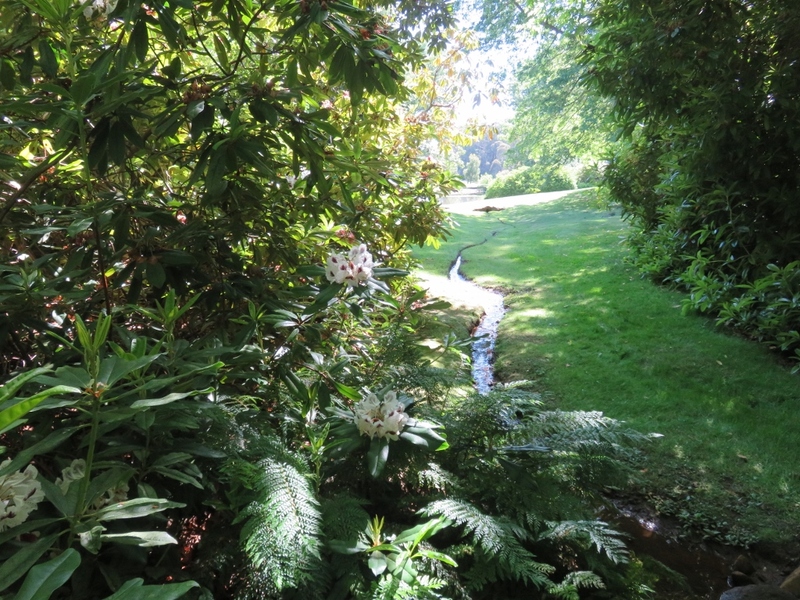 In 1999, they purchased the property from the Wilmott family who were responsible for planting most of the mature trees, rhododendrons, (as tall as trees) azaleas, hydrangeas and maples. A turf-covered stone bridge leads over a little creek, and into the slopes down to rolling hills below. 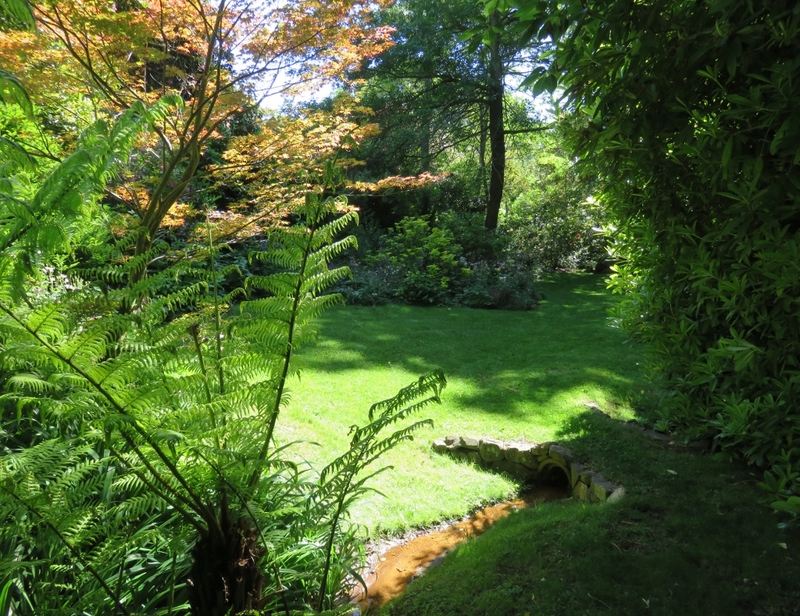 There is a lush, green almost English feel as we walk through the first part of this diverse garden. 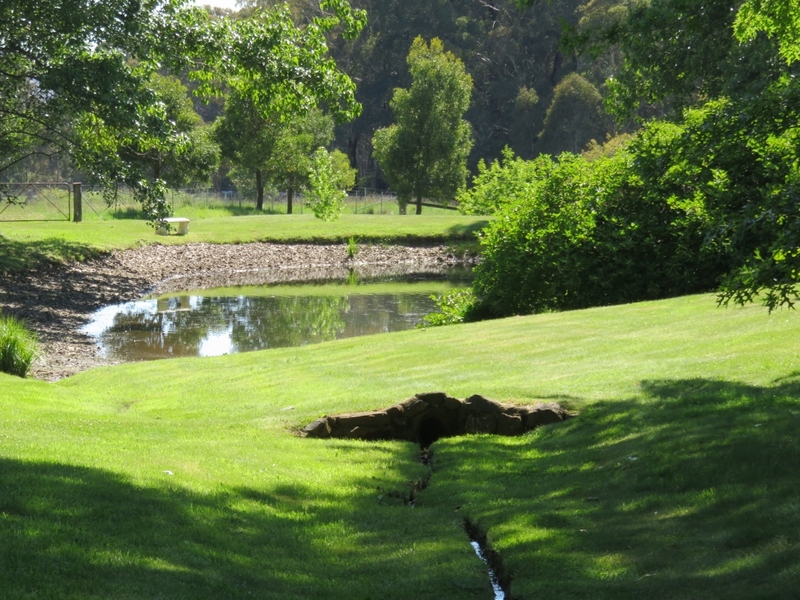 The spring-fed water winds down to the lake, and opens out into a wonderful country property. 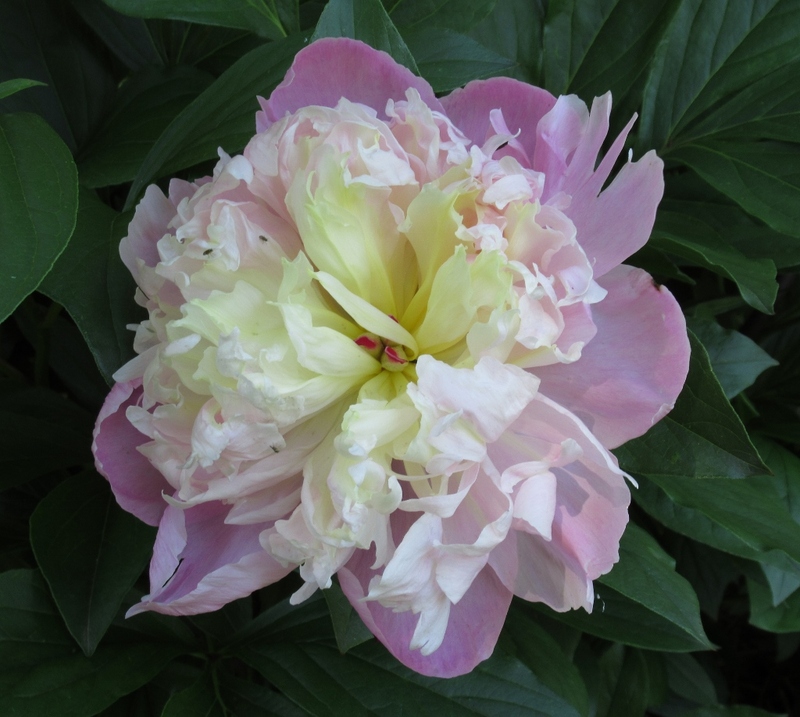 Sarah became interested in perennials about twenty years ago, influenced by the naturalistic planting style pioneered by the Dutch and was also inspired by wonderful herbaceous borders in the British Isles. 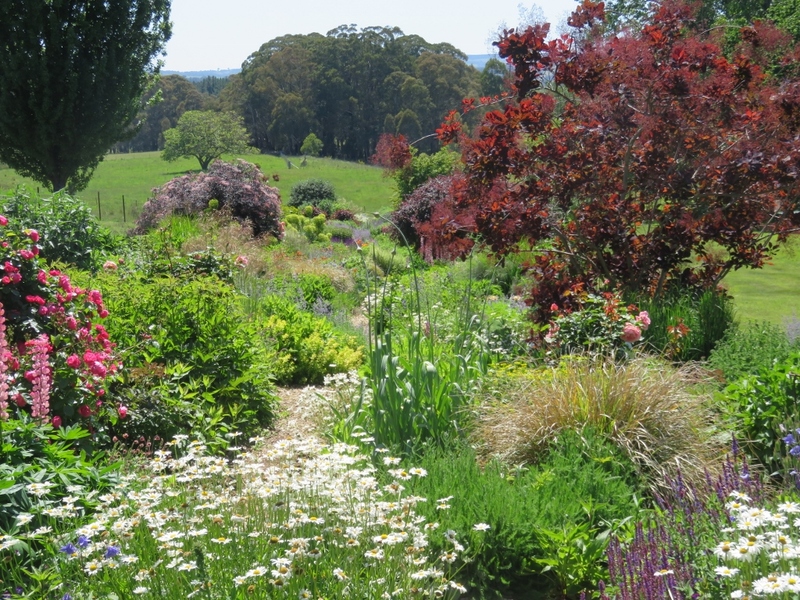 She has experimented with many different plants over the years, and now has 300 different species. They all help to create movement, structure, texture, which is Sarah’s aim. 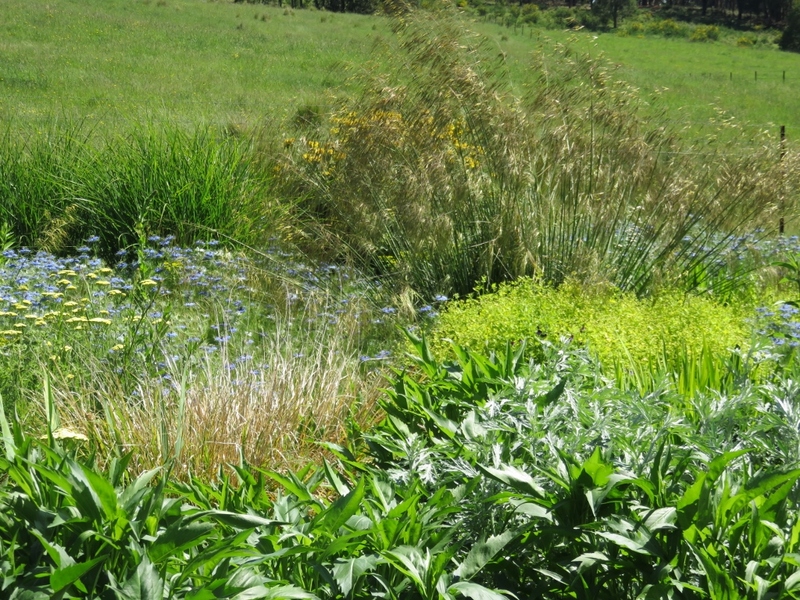 These soft golden coloured grasses were waving in the morning sunshine… and I’ve never seen Love-in-the-Mist planted so well between other groups of plants.. 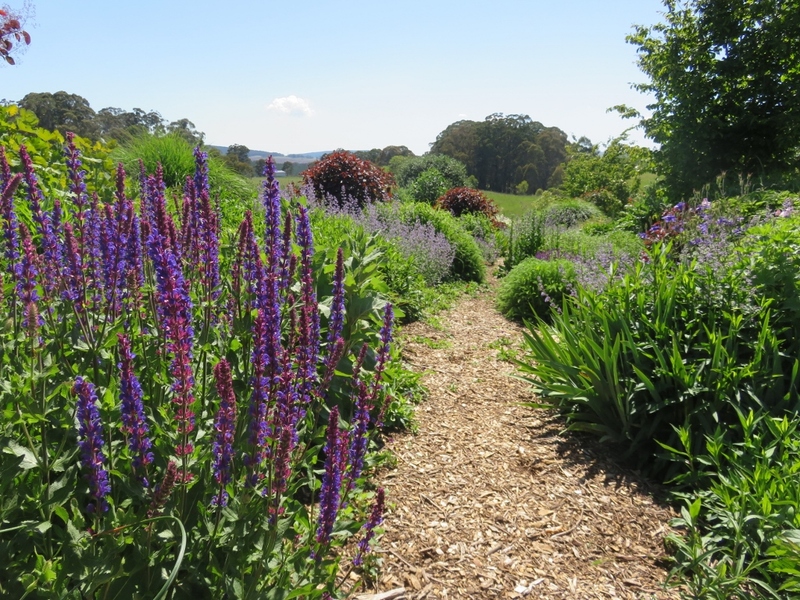 The winding path changes perspective every time you walk along it…..
and we walked up and down quite a few times, finding more interesting surprise plantings every time. 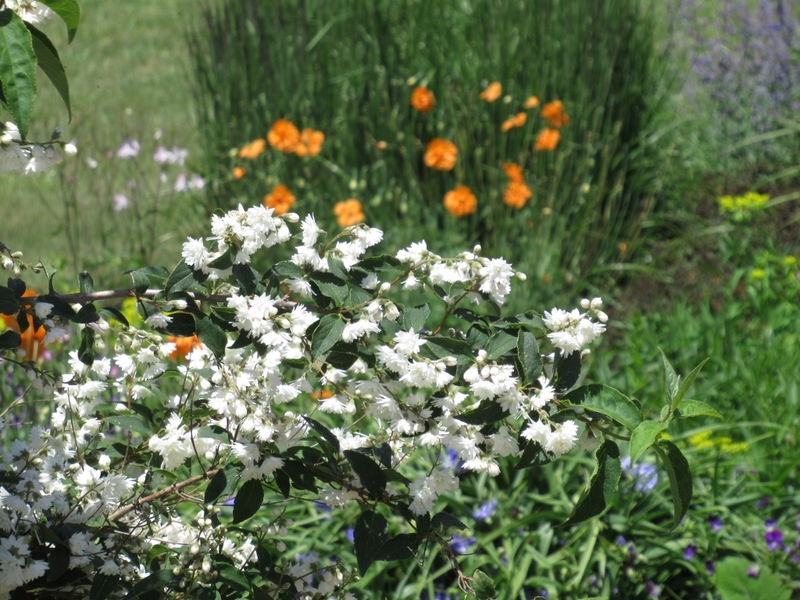 With the slightly steamy sunshine look, (and my slightly hazy photos) this perennial border starts to look like an impressionist painting doesn’t it? 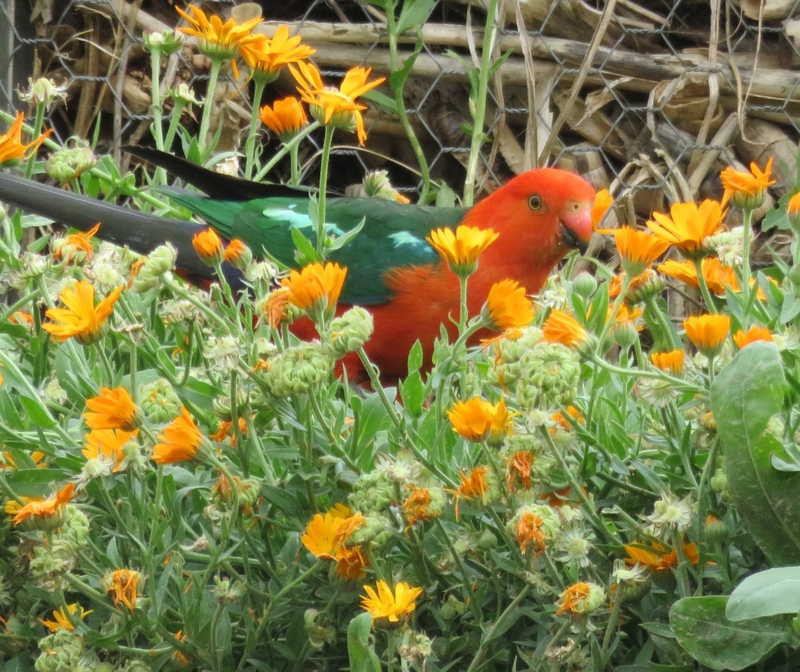 Incidentally we saw this Australian King parrot in the car park of a nursery not too far from Hillandale.. 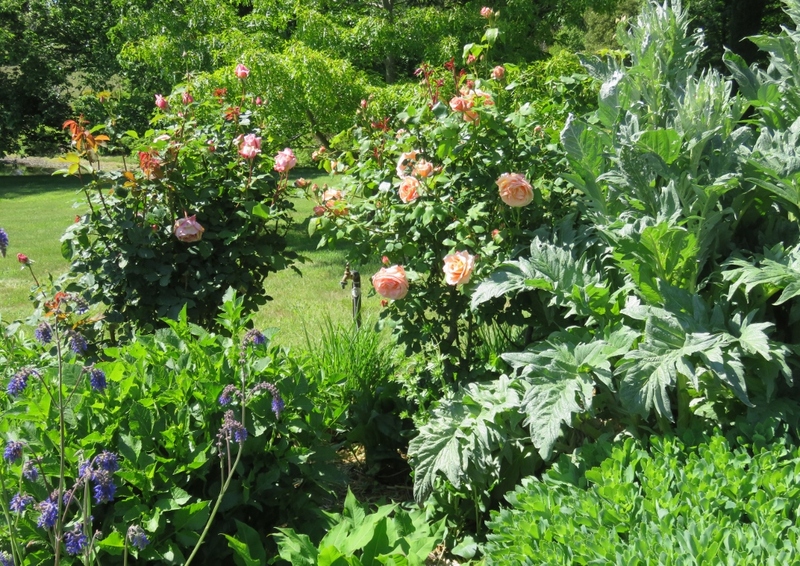 The vegetable patch is also flourishing, but I think Sarah and Andrew make everything look easy.. 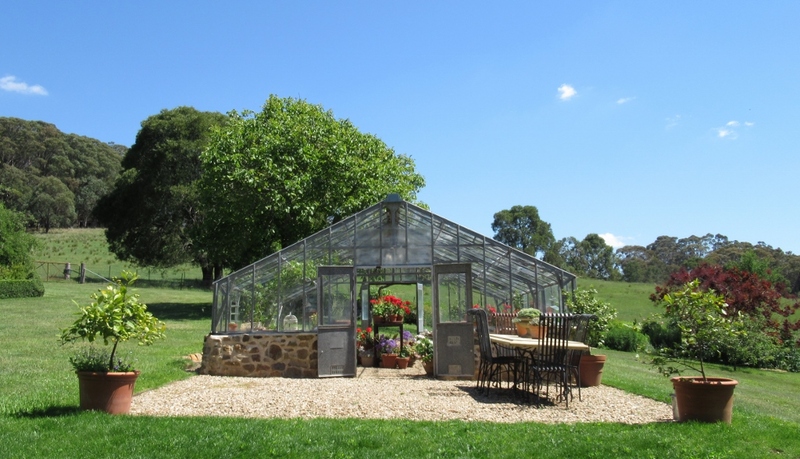 This glasshouse was a present to Sarah from Andrew, he reassembled it piece by piece from a property where it was no longer wanted. It is hard to believe on this warm spring day, but Yetholme is one of the coldest regions in Australia, at about 1150 metres above sea level, and has regular snow in winter. 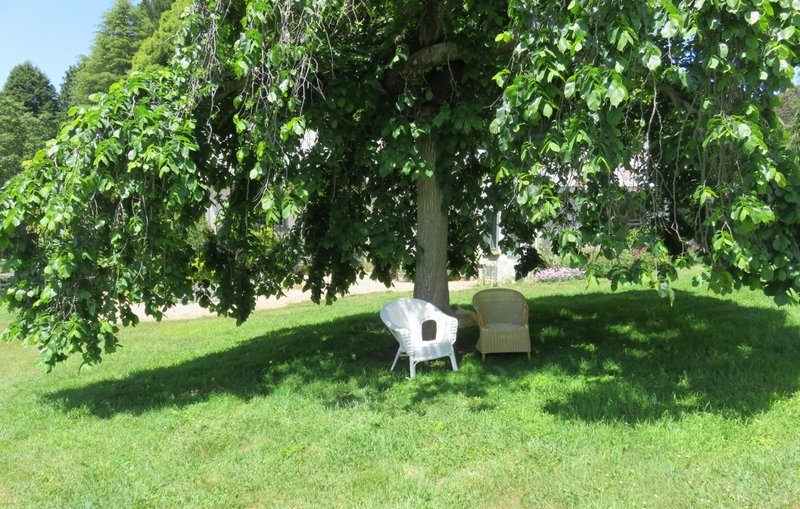 We spent a long time in this garden and chatting to Sarah. 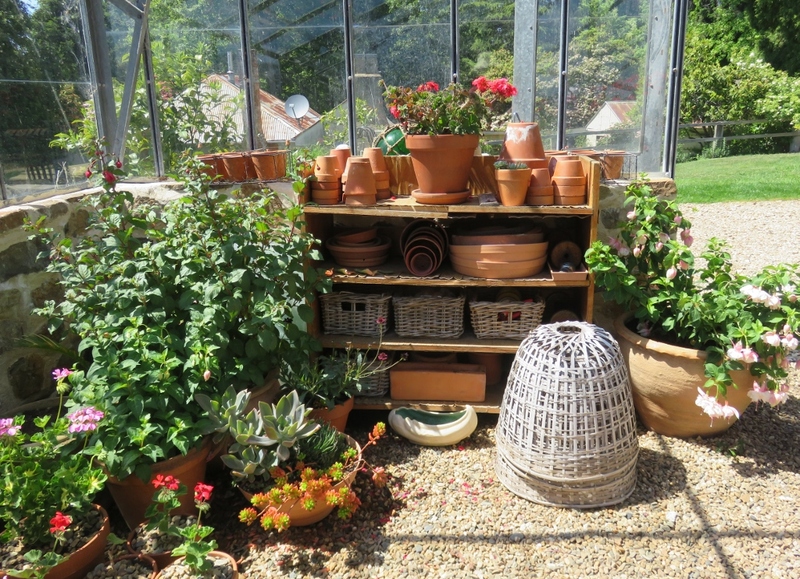 She encourages people to stay as long as they like, have picnic, or just enjoy a coffee and look through photos of the garden through all seasons. 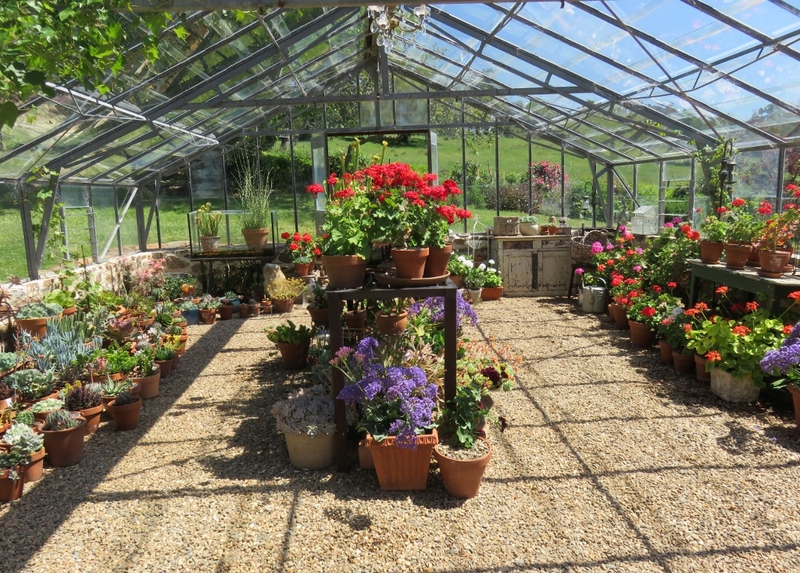 In fact, we spent so long talking that I forgot to take a photo of Sarah, this knowledgeable, and talented plants-woman. Gardeners are such nice people aren’t they? 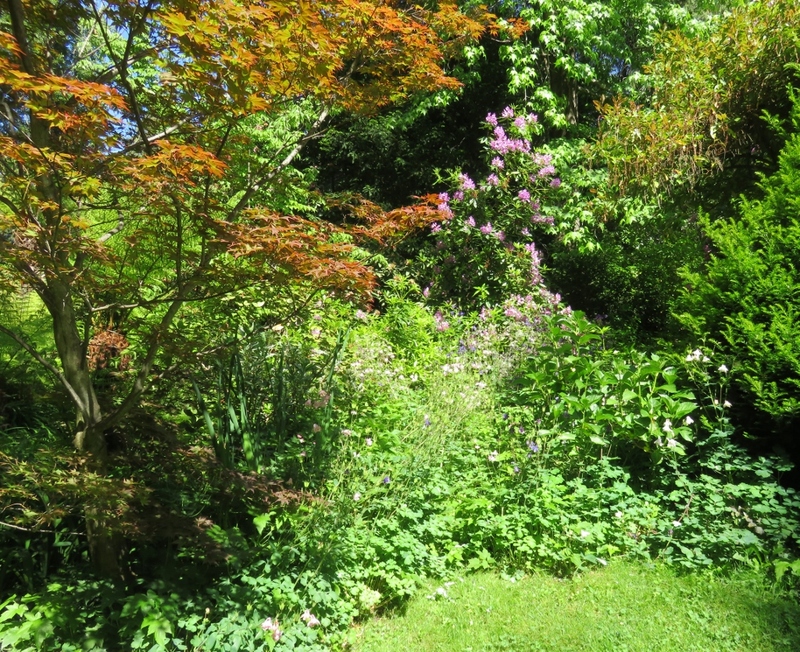 But we will be back to see this extraordinary garden, hopefully through all the seasons. 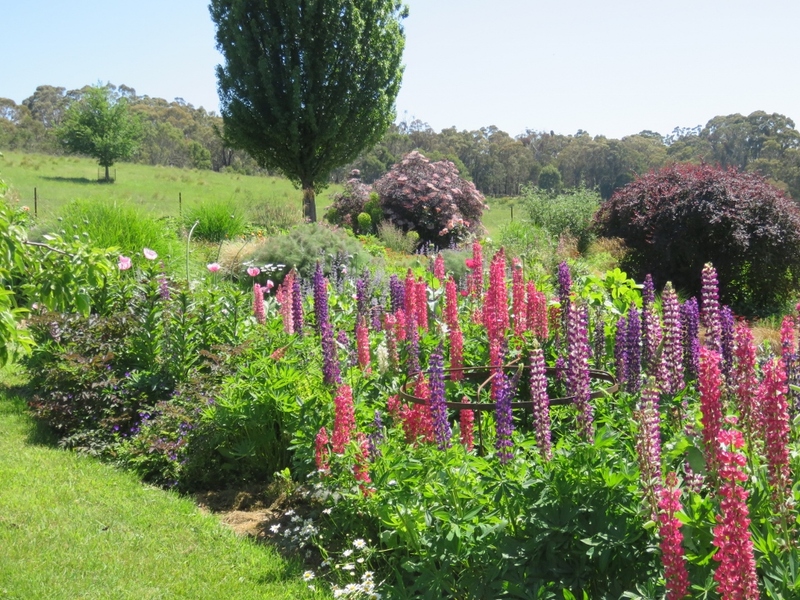 We found out about this garden when we were browsing through a book shop in Melbourne. 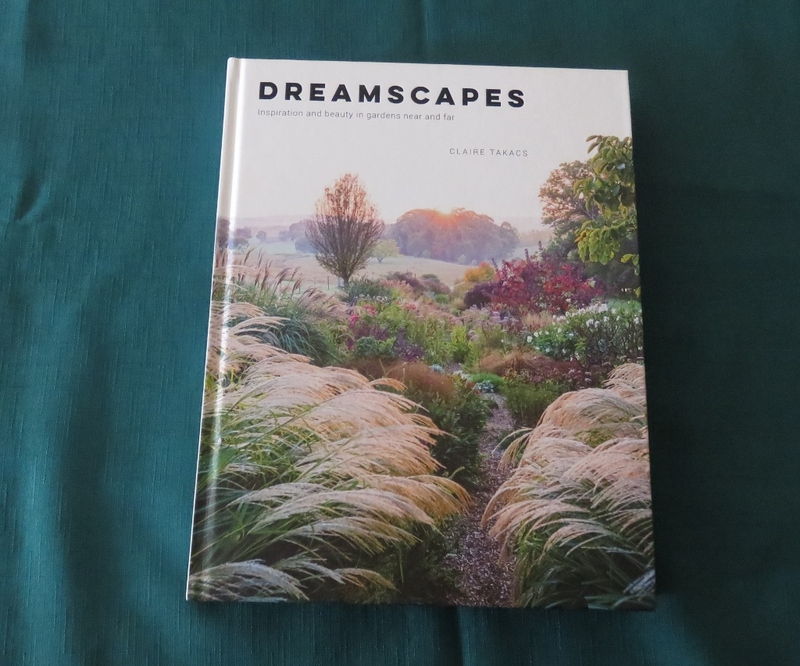 I picked up a beautiful book called Dreamscapes which features gardens from all around the world….. Australia, NZ, USA, UK, Europe and Asia. All of them are glorious. There was only one in New South Wales (our region) and it is Hillandale. Paul then went back to the book shop and bought the book as a surprise for our wedding anniversary. 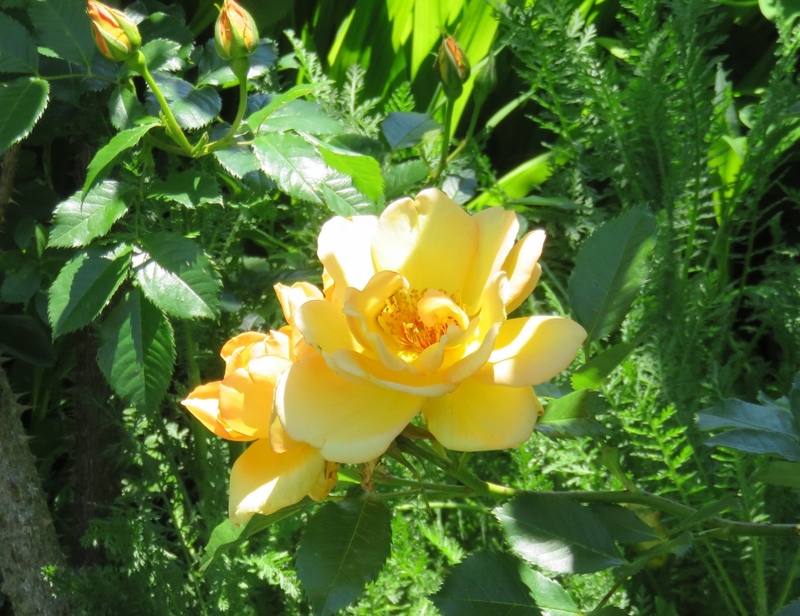 So now we can go on a trail of glorious gardens forever! Hillandale is open on the last weekend of each month until March 2018… and I’m sure will be open again next spring. 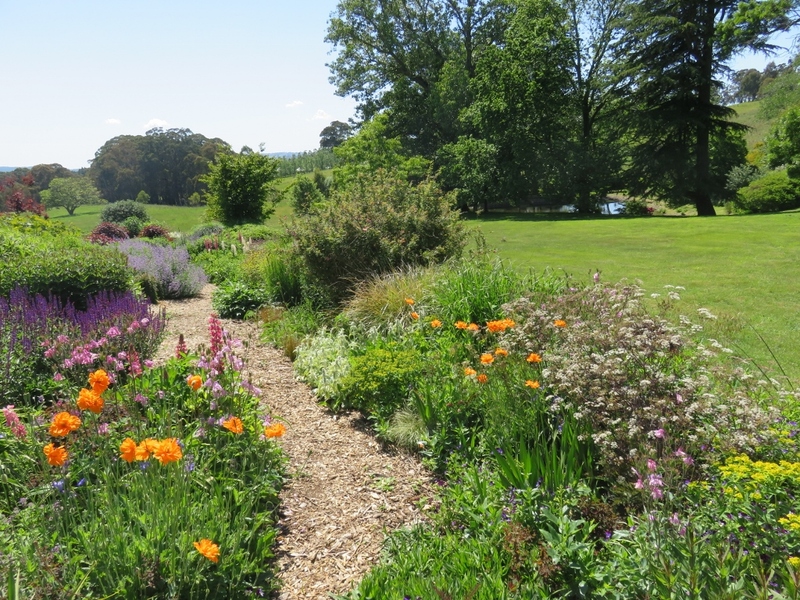 This entry was posted in New South Wales Gardens and tagged Australian King Parrot, azaleas, herbaceous perennial border, Hillandale, maples, rhododentrons on February 4, 2018 by germac4.